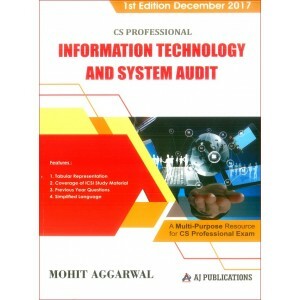 Information Technology and System Audit book is useful for the students of CS Professional program.. Contents :Basics of companyA Exemptions to companiesFormation of companiesOne person companyMemorand..
Features1. Fully Amended ICDR Regulations 20092. Fully Amended LODR Regulations 201 53. Previous Yea.. 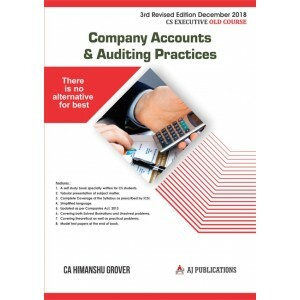 Contents :Part I : Company Law, Principles & ConceptsPart II : Company Administration and Meetin.. Covering:Business Environment and LawBusiness Management, Ethics and EntrepreneurshipBusiness Econom.. Basic Concepts 1. Basics Of Drafting And Conveyancing 2. Document, Instrument And Deed 3. Importa.. 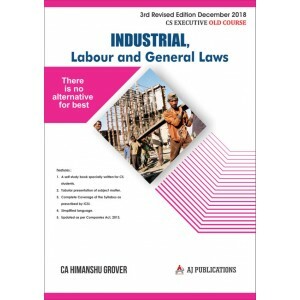 Contents : PART – (A) ETHICS AND GOVERNANCE (70 MARKS)1 Introduction ethics and governance2 Ethical ..
Part A : Secretarial Audit Chapter 1- Secretarial Audit,Chapter 2-Checklist–Secretarial Audit,Chapte..